Whenever one of the staff in our office has a birthday, we celebrate at coffee break time (10:30 AM). 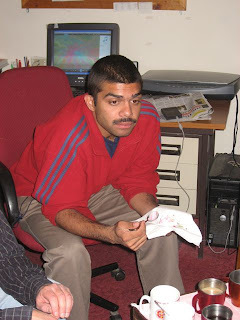 Today Karan, a volunteer writer, turned 25. He provided a cake for us from the school food services. 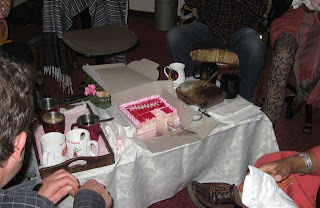 And a couple of his friends brought in a home-made cake with chocolate icing. Gooey sweetness was enjoyed by all!